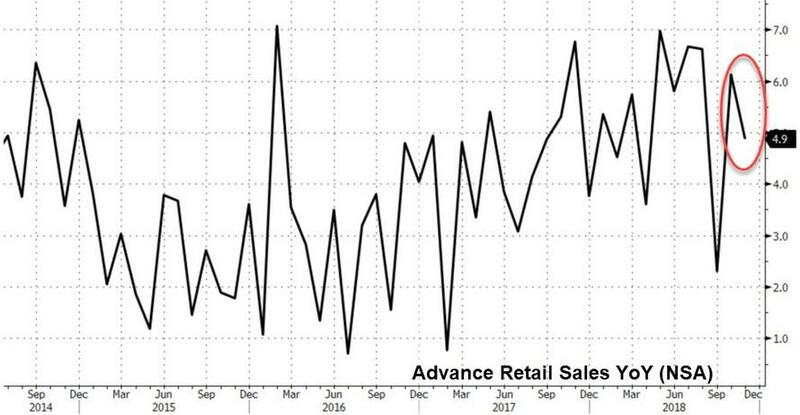 With inflation 'disappointing', hope for the recovery was left on the shoulders of the American consumer once again and Retail Sales offered some optimism with better-than-expected (and upwardly revised) MoM gains. 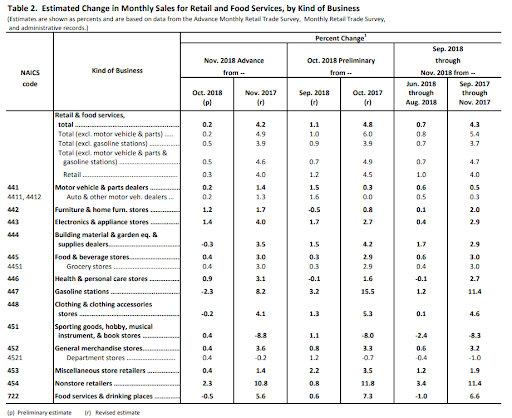 Under the hood, most sectors (9 of 13) saw increases in sales but there were drops in building materials, clothing stores, and gas stations (down 2.3% - biggest drop since May 2017). The nonstore category, which includes online shopping, jumped 2.3%, the most in a year. So, this "great" news will prompt Powell to hike next week and shift back to his 3 (or 4) hikes next year? Or is good news bad?